The H.G.T.-Hutton Library is part of Special Collections on level 4 of the Hartley Library. It is open to all to use. The books are shelved in the Special Collections open access area and can be used whenever the Library is open. If you do not have a University I.D. Card, you will need to show photographic I.D. on arrival at the Library. Most H.G.T. books are available for Long Loan. If you have a University I.D./Library Card you can borrow books at the Loans Desk or at the self-issue units on level 2. Members of the Hampshire Gardens Trust can apply for free membership of the Library as External Borrowers. The H.G.T.- Hutton Library has as its focus the history of garden design, with an emphasis on British landscapes and gardens. There are descriptions of the appearance and function of the garden from ancient times onwards as well as studies of individual gardens and designed landscapes. The collection includes books on garden ornament and garden buildings and also extends to the history of public parks and gardens. Guides to garden research include Parks and Gardens : a Researcher's Guide to Sources for Designed Landscapes by David Lambert (2006) and Ray Desmond's Bibliography of British Gardens (1984). Journals include Garden History, European Gardens, Studies in the History of Gardens and Designed Landscapes, My Garden and Hortus. Extent: 440 books and 9 journals. 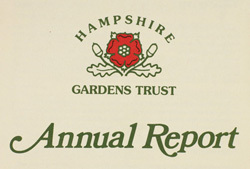 WebCat includes records for all Hampshire Gardens Trust books and journals (call number H.G.T.). See Hampshire Gardens Trust Library for a list of titles. The Hampshire Gardens Trust Library was established at the University Library in 1984 to support the Hampshire Gardens Trust in its work of providing advice on the restoration, re-creation and management of gardens and parks at risk from neglect or inappropriate development. For over twenty years, Professor Stan Hutton was the Honorary Librarian of the H.G.T. Library and was responsible for developing the collection of books and periodicals, which has become an invaluable resource for garden researchers of today. Following his death in 2014, the H.G.T. Library was renamed the Hampshire Gardens Trust-Hutton Library in honour of his work in creating this important collection. 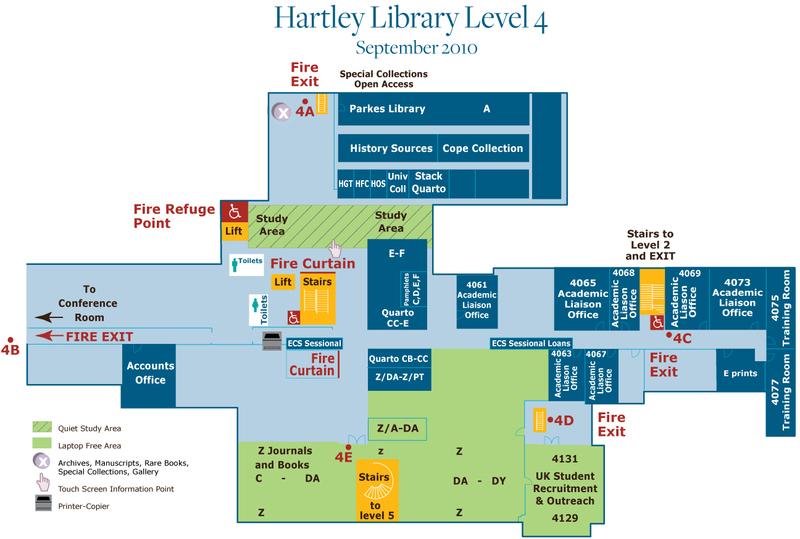 The nearest photocopiers are behind the main staircase on level 4 and the charges are 5p per A4 sheet and 10p for A3. If you are not a member of the University, you will need to obtain a Guest Account login from either the Special Collections Enquiry Office or Hartley Library Reception.